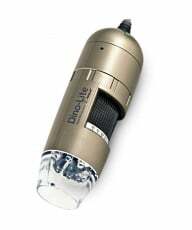 Dino-Lite digital USB microscopes are arguably one of the few, true innovations in light microscopy over the past ten years. Made in Taiwan, they are compact, powerful and reliable while providing excellent images with startling clarity and color resolution. 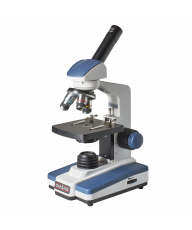 Unsurprisingly, they have proven very popular with our customers that include industrial inspection, schools, medical, hobbyist and individual Consumers. 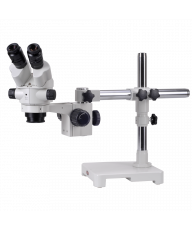 From a few initial models, the range has grown to include a large variety of models with minor, but useful,differences to suit specific applications: polarizing, enhanced working distance, fixed magnification, fluorescence, UV and IR, analog output for TV or monitor, to name a few. 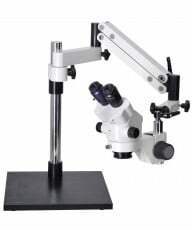 Since all the Dino-Lite microscopes look very similar it can be a little confusing when trying to select the appropriate model for your application. 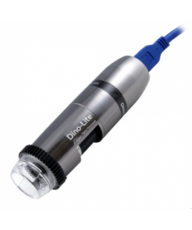 We have sub-divided them into four primary sub-categories below, but we encourage you to peruse our helpful - and exclusive - Dino-Lite Buyers Guide for more assistance in helping you select an appropriate model. Always feel free to call us toll free on 877-409-3556 for further guidance or assistance.